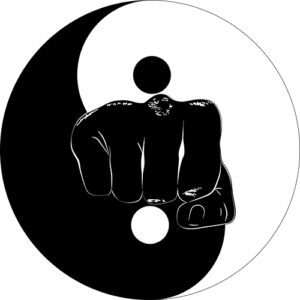 Welcome to Kyusho Yin-Yang Theory!! Dear Fellow Martial Artist! One of the things I had noticed over my years of study was the lack of real instructional video on pressure points. I imagine there was some, but I was unable to find it! So I decided to meet this need, and bring many different series and topics to the martial artist and pressure point devotee at a reasonable price! Many years ago I did a DVD series on the first 10 Principles of Kyusho Jitsu. Not all of them survived the years, however this on on the Kyusho Yin-Yang Theory did. While no longer available in DVD it is now available as a digital download. Here is a little information below on what this course / workshop is all about. People believe that opposites attract, but in truth like attracts like. This principles explains what complete energy is, like male and female energy. Also how to respond to an attacker to complete the energy and then be able to control the situation. You will see example of this in this video. The video was shot during various Kyusho Jitsu workshops in my dojo back in 2010 / 2011/ This is a must have for anyone serious about the study of the science of pressure point self defense. Here you will see some examples of application that you can begin to use in your own training. This AMAZING video should sell for $47!! But right now I am going to give you a great deal! This is one of the most important theories for novices and advanced practitioners alike!